The coldest temperatures in months arrive in the Midwest and Northeast. Heavy rain stretches stretches from eastern Texas all the way to New Jersey early Sunday as moisture interacts with a stationary front lingering in the southern U.S. 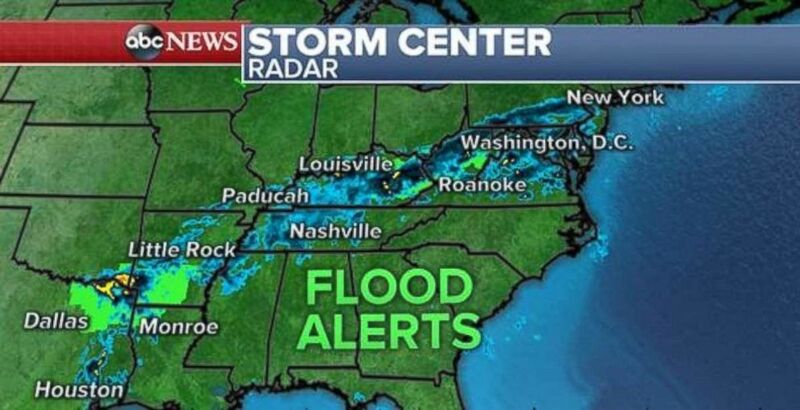 Heavy rain dropped nearly 5 inches of rain in western Virginia and eastern West Virginia overnight causing numerous reports of flash flooding in the region. (ABC News) Flood alerts are in place in the Southern Plains and eastern Kentucky and West Virginia. 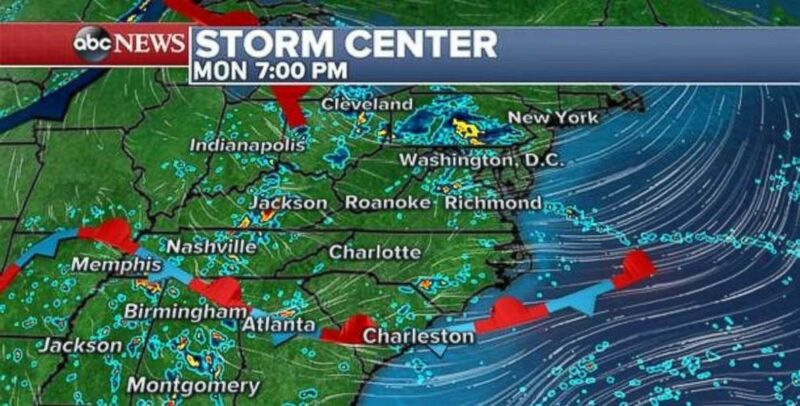 (ABC News) Rain will be scattered across the eastern U.S. on Monday night. 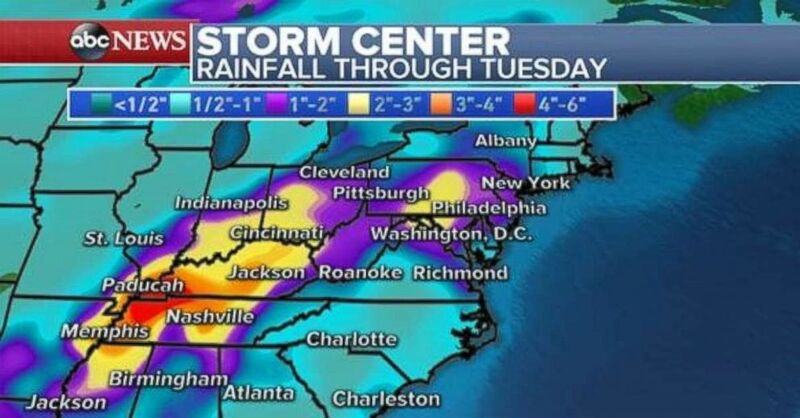 (ABC News) Rainfall totals could be as much as 3 or 4 inches locally, especially in western Tennessee and Kentucky, through Tuesday. (ABC News) Cool temperatures will move into the Northern Plains and Midwest over the week ahead. There are still a number of areas that are being monitored in the Atlantic, however, none of them will have an immediate impact to land. (ABC News) Tropical Storm Kirk formed Saturday, Sept. 22, 2018, and continues to move westward. 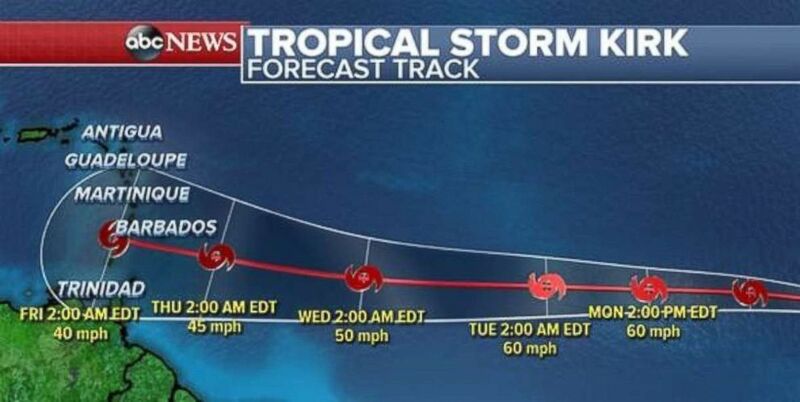 The current forecast track has Kirk reaching the Lesser Antilles late this week as a weakening Tropical Storm. However, there is a possibility that Kirk will not be able to maintain tropical organization before approaching the Islands. Therefore it remains uncertain if Kirk will bring any impact to land.